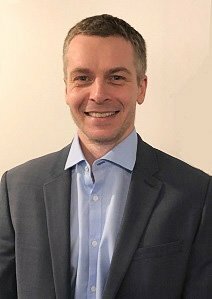 Cédric Guérin joined Axelia Partners in 2019, bringing his strong accounting, auditing and analytical skills to the role of Senior Accountant. Prior to Axelia Partners, Cédric most recently worked for Allianz – Global Corporate & Specialty, where he was in charge of reporting under the International Financial Reporting Standards (IFRS) and the Canadian Financials. Before that, he was a member of International Management Solutions’ accounting team in Chicago, where he assumed bookkeeping responsibilities, preparation of reporting files, and other duties, such as payroll and sales taxes, for French companies with subsidiaries in the U.S.
Before moving to the U.S., Cédric worked for six years in auditing, for PwC in Noumea, and for Emargence, a French CPA firm in Paris. Cédric holds a Master’s degree in Finance and Auditing from INSEEC Business School, Bordeaux, France.